Millions of engaged couples turn to WeddingWire as their trusted wedding resource, with the largest directory of local wedding vendors in Florida. 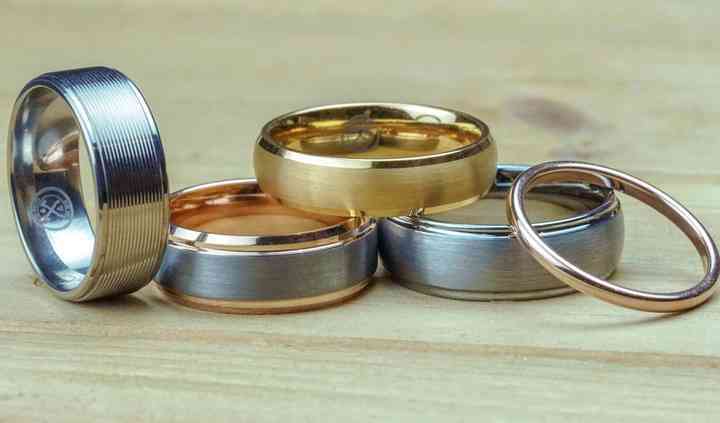 Easily find the best wedding services in your area with detailed vendor...Read more reviews, prices and availability for your wedding day. Welcome to Florida! Home of Sun, Surf, Sand - and Wedding Celebrations! The Sunshine State's highest point is only a few hundred feet above sea level, but your Florida wedding can soar to unimaginable heights, thanks to the state's near-endless list of venues, catering possibilities, entertainment and more - all against the backdrop of the state's stunning beach vistas and sunny, welcoming weather. Let's take a look at what makes Florida such a great place to host a wedding! Miami is a popular wedding celebration destination, and for good reason: plentiful beach venues, excellent year-round climate and a glitz factor that rivals another world-famous coastal city, Los Angeles. In particular, Miami Beach offers soon-to-be newlyweds first-class entertainment and lodging for guests. The Gulf Coast region (including Panama City, Tampa, Sarasota and other cities) boasts crystal-clear waters and outstanding cuisine - and the sunsets are absolutely stunning. Another can't-miss Florida wedding option is Orlando, home of Walt Disney World. Fancied as the Vacation Capital of America, Orlando's multitude of recreational parks is perfect for newlyweds looking to recapture some childhood magic. Along the Atlantic coast, Jacksonville, Daytona Beach and St. Augustine are worthy of your consideration, while Pensacola and Tallahassee, along the state's northern I-10 corridor, also offer their own unique Southern charm. If these areas aren't far enough south, head toward the Florida Keys, a fast-rising wedding spot for both native Floridians and visitors to the Sunshine State. Native Southerners needn't worry about Florida's steamy climate, but for snowbirds planning a wedding in the Sunshine State, the weather can be a concern. Many non-Florida residents with wedding plans in in Florida are unprepared for sweltering summer heat, especially for wedding attendants who've never been to the state. If you're planning a summer wedding, "light and loose" attire is recommended for both bride and groom. Winter celebrations in Florida are much more temperate, and are more accommodating to traditional wedding gowns. 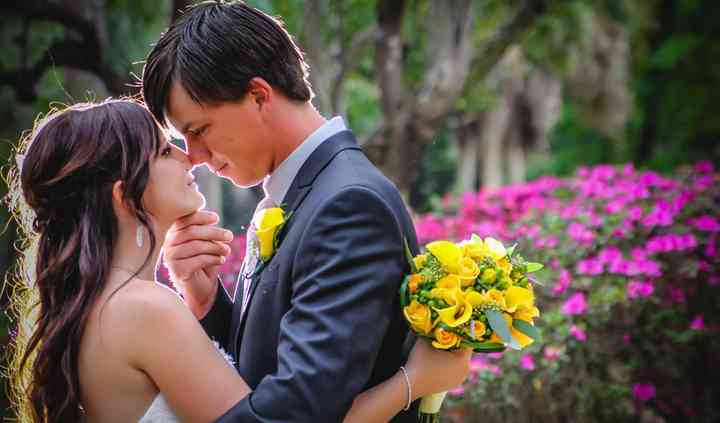 Yellow is the most popular color for Florida weddings, with soft pastels a close second. Florida is considered a wedding photographer's paradise, simply because the clear skies and sunny weather make for more colorful and vibrant photos! A typical Florida wedding can cost anywhere (on average) from around $260 to $370 per guest. It just depends on what region of Florida - west and south are more pricey, while the north and central regions are generally less expensive. Thankfully, Florida's state sales tax of 6% keeps costs lower than you might expect. For catering, Florida offers perhaps the best seafood in the country. Fresh fish, crab, scallops and other delicacies are commonly included for Florida wedding reception celebrations. But most Florida caterers don't focus exclusively on seafood. Many Miami caterers offer Skirt Steak Au Grill with Chimichurri and Thai Chicken Curry (among many others) to complement a wide selection of seafood. Popular Florida wedding décor options are beach-focused, including seaside decorations that can be found in Wedding Light & Decor. Wedding music is as varied as Florida's diverse population, with Caribbean steel-drum bands, Cuban music and country western popular year-round options. Official Florida marriage requirements are a valid photo ID (driver's license, passport, etc. ), and both parties must be present at time of application. Don't forget our comprehensive Florida weddings, with links to florists, bands, caterers and much more.